10 Must Have Cool Kitchen Gadgets Under $20! 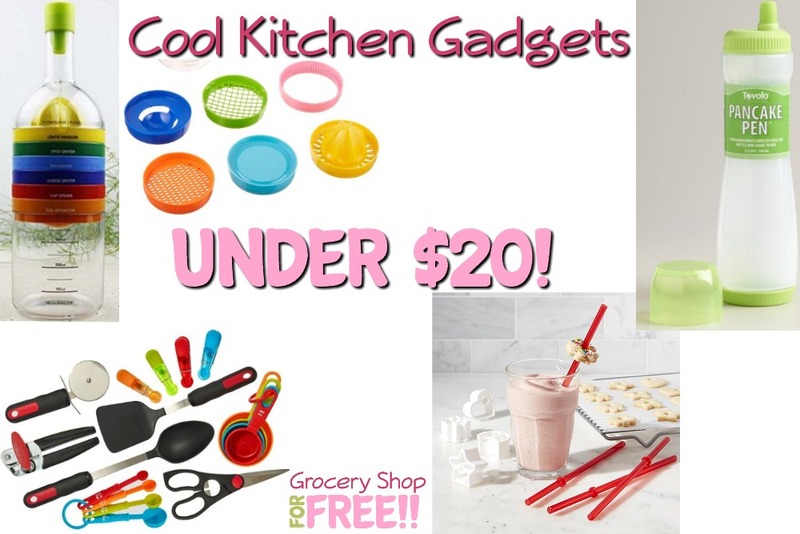 You are here: Home / Great Deals / Christmas Deals / 10 Must Have Cool Kitchen Gadgets Under $20! Ok, to be honest here, Hubby does all of the evening meal cooking. I did it when the kids were growing up and then when they were all out of the house we found out we were SUPER unhealthy! So, he learned how to make us healthy again through food and he took over the cooking! If you’d like to learn more about our journey you can check out my over 100 lb weightloss story here <— and you can check out his ongoing story and recipes and lists of what you can eat at restaurants at his My Sugar Free Journey blog. He’s lost over 200 lbs! Back to the kitchen! lol Even though I no longer cook, I really enjoy kitchen gadgets, well we are an electronics junkie family so, I guess I love all sorts of gadgets. If you’re like me – you’ll want to check out this list of cool kitchen gadgets!